Exactly 200 years ago, in 1816, a teen-aged girl called Mary Shelley began writing the story of Frankenstein in a villa in Cologny, a short walk from where the World Economic Forum now has its offices. Her ghoulish but subtle tale featured a scientist bringing a sentient, suffering creature to life from parts found in the “dissecting room and the slaughter-house". “Frankenstein” was written at the end of the First Industrial Revolution, capturing the fears and squeamishness of a society going through massive transformations whilst making its first forays into surgery. The book took inspiration from earlier critics of the dawn of industrialisation, among them John Milton and Samuel Taylor Coleridge. Today, Shelley’s Frankenstein is seen as the start of a genre, the first work of science fiction. By imaginatively combining the rigour of science with the freedom of fiction, the genre plays a big role in expressing the hopes and fears we project into our creations. The best sci-fi stories mix two ingredients. The first is great science which sometimes leads to surprising accuracy: Jules Verne imagined a propeller-driven aircraft in the early 19th century, when balloons were the best that aviation had to offer. In the 1960s, Arthur C. Clarke envisioned the iPad, and Ray Bradbury the Mars landing. It may just be a matter of time until “Samantha”, the AI voice in Spike Jonze’s film Her, will be real, or until we bump into a version of “Ava”, the humanoid robot from Alex Garland’s “Ex Machina”. The second ingredient is a keen understanding of contemporary hopes and fears. This is what makes these books and films great tools for dissecting the sentiments of an era. The two most successful sci-fi stories ever, George Lucas’ Star Wars and Gene Roddenberry’s Star Trek, are amongst the best examples of how pop culture combined perceptions of technological progress with contemporary hopes and fears. The first episode of Star Trek came out in 1966. At this time, the first two and a half decades after the Second World War which are sometimes referred to as the “golden quarter”, growth in Europe and the United States exploded, Germany experienced its Wirtschaftswunder, and Japan grew into an industrial powerhouse. The fruits of the so-called Second Industrial Revolution – electricity and the internal combustion engine – produced a slew of new technological wonders. The Concorde may have been the most iconic. For most of modern history, the top speed of passenger travel had been 25 mph. By 1900, some pioneers accelerated their vehicles to 100 mph. 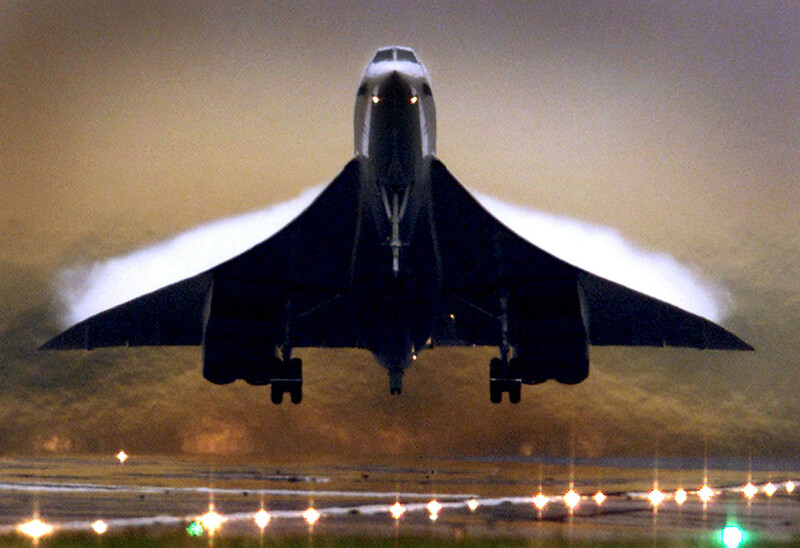 When the Concorde took off in 1969, it speeded up to over 1,400 mph. 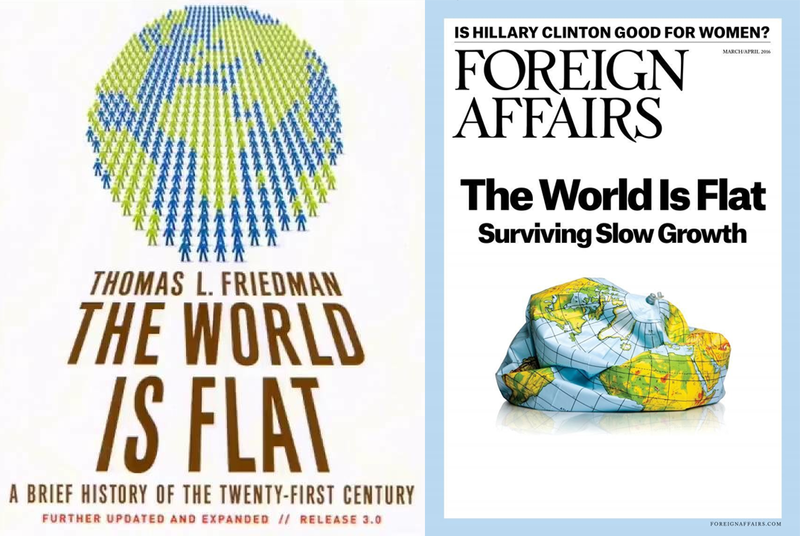 The developed world seized progress, unleashing far-reaching changes not only in technology, but also in politics, society and culture; the UN came into being, millions of colonized peoples in Asia, Africa and the Middle East won political independence and the civil rights movement was born. Big progress inspired even bigger dreams. Force fields and warp drives became common expressions, and reputable magazines assured readers that the future would bring colonies to Mars and devices to transform matter. But the fervour did not last. On 15 August 1971, US President Nixon suspended the convertibility of the dollar into gold; the post-war Bretton Woods system collapsed. Shortly thereafter, the world economy was rattled by an oil crisis that further depressed growth and employment. The twin crisis of high inflation and low employment demolished trust in markets and the ability of governments to correct them. After two decades of breakneck growth, pressures on natural resources also began to show. A year after the Nixon Shock, the Club of Rome published Limits to Growth, a now famous report that warned of environmental catastrophe unless leaders radically cut the use of resources; the green movement started to form. Suddenly, technology was part of the problem, straining the limits of the planet and the mind. Alvin Toffler’s 1970 bestseller Future Shock hit a nerve when it stated that our brains were ill-prepared for such a pace of change. The Nixon years have much in common with today. The threats we face, from climate change to overpopulation, resemble dangers highlighted by the Club of Rome. Now as then, economic and political uncertainties abound: trust in markets is down since the 2007-09 financial crisis; trust in governments is battered by rising inequality and geopolitical insecurity; technology is disrupting the job market in both advanced and emerging economies. In the heady globalization years after the Collapse of the Soviet Union, technological progress made the world more flat and egalitarian; now it makes it more spiky and risky – and Star Wars is again the highest grossing film ever. Star Trek and Star Wars show how visions of tomorrow mirror contemporary hopes and desires, revealing as much about us as our future. The following graph illustrates this thought. The upper section shows average productivity growth in the US over four discrete periods. Productivity is an imperfect yet still useful measure of how a society is evolving, for it defines how rapidly an economy can grow without rampant inflation. The lower section visualizes, on two levels, how society is dreaming about progress: the blue line represents our perception of technological change as accelerating or decelerating. The orange line represents the predominant reception of technological change as an opportunity or threat. Both the perception (is it happening?) and the reception (is this good or bad?) of technological change are strongly correlated with productivity growth, in part of course because technology is a key driver of productivity growth. Yet, with major innovations showing up only after some time in productivity statistics, major shifts in the economic climate are normally first attributed to other factors. That is why there is a lag before people appreciate technological gains. In the post-war decades, productivity grew on average at 2.7%, which means living standards doubled over that time. Technological change was seen as an enabler of societal progress and, along with new economic and societal freedoms, the dreams of future technological possibilities – from flying cars to colonies on Mars – grew bigger and bigger. With the Nixon Shock, things changed. Average productivity growth dropped to 1.5% from 1970 until 1994, which meant the time needed for living standards to double increased from 25 to 45 years. This first shifted the reception of technology from a force for good to a potential threat. As the malaise continued, the perception of technology as an accelerating force in human evolution dropped, too. "Progress" was replaced by "innovation", a smaller and more neutral term with no connotations of moral and social improvement. It took another shock, the collapse of the Soviet Union and the end of the Cold War, for people to regain their confidence in technology. In the hyper-globalization era of the 1990s and 2000s, average growth almost recovered to post-war heights. The fruits of the digital revolution began to show, and technology was seen again as a force for good, spreading the economic virtues of capitalism and the political values of the West across the planet. But then the financial crisis of 2007-2009, and the rise of economies with little love for Western values, complicated the picture, and again we find ourselves imagining technologies dark side. From Her to Ex Machina to the film adaptation of Kazuo Ishiguro’s Never Let Me Go, our current fantasies take us to an unsettling world where human civilization and in fact the very definition of being human is under threat. "We believe in innovation, but have given up on progress"
While this narrative is a vast simplification of modern economic history, it helps to make sense of how people think about technology. Average productivity growth since the global economic crisis is down to just over 1%, lower than after the Nixon Shock. It’s no wonder that our dreams have taken a darker turn. We believe in innovation, but have given up on progress, and the possibility of moral and social improvement. The defining feature of our days is that we feel like we live in an era of incredibly innovation, mostly thanks to staggering breakthroughs in science and technology; but, at the same time, we feel like there are insurmountable limits in the form of economic, political and environmental risks. We must pay attention to this common sentiment, not as sci-fi enthusiasts, but as citizens and leaders. Dreams can make us go out and spend, start businesses and build factories; but they can also put fear in our hearts, make us lock our doors and save our resources. They can blind us from reality and cover up political horror but also inspire us to great achievements. “Longing on a large scale is what makes history,” writes novelist Don DeLillo. Our real challenge is not the proverbial fight between man and machine, recounted so many times since the Luddite era. It is on the one hand the struggle against cynicism and apathy, the toxic by-products of trust that were squandered in the crises of our decade; on the other, it is the struggle with prophets who promise that technology will solve all problems. On both ends, it is the struggle with a technological discourse that discounts our ability to shape a better future; a discourse that makes us passive subjects in a world of volatility, uncertainty, complexity and ambiguity.